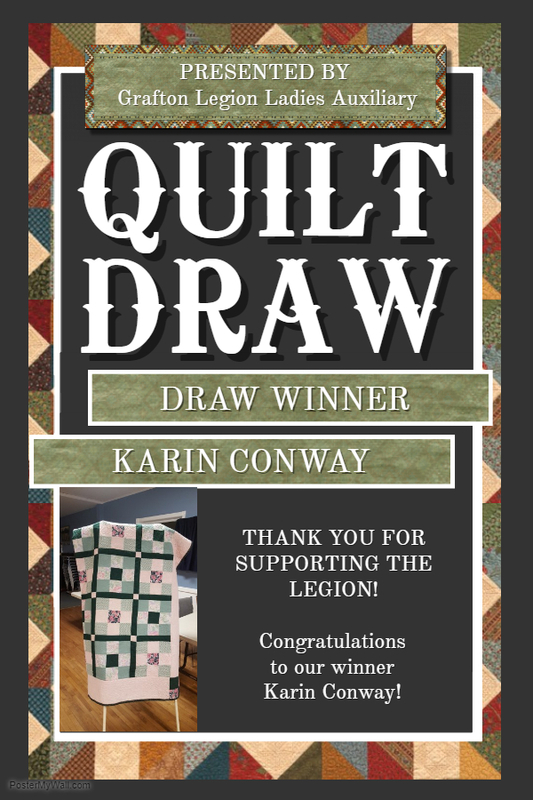 The Ladies Auxiliary Quilt Draw winner is Karin Conway! Her name was drawn during the Harvest Dinner on Friday September 21, 2018. Thanks for your support and we hope you all enjoyed the Harvest Dinner too!